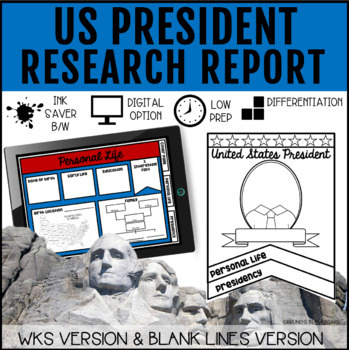 Do you need an easy US President Research Report for your students for Presidents Day? 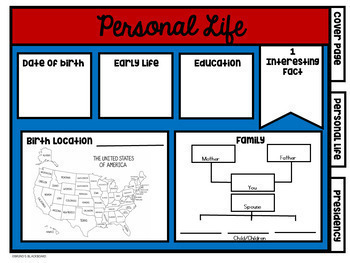 Your students will love this President Project. 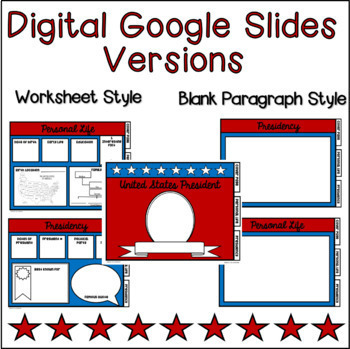 This research report comes in 2 formats: printable banner and No Prep digital Google Slides. They both have 2 versions included to help you customize or differentiate for your students, the first style is a "worksheet" style fill in and the second is blank lines for students to write paragraph responses instead. Or you can mix and match. Each has a cover, personal life tab and presidency tab. This is the perfect President Day Activity! 3 Branches of Government 3D Display Tree . 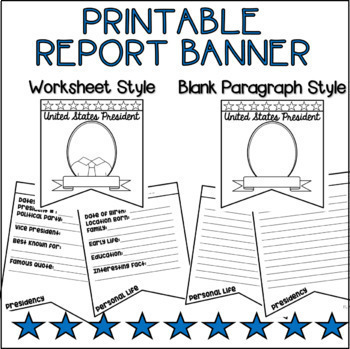 State Report & Country Report Bundle.